PAV Pays up to R30 promotional support per activation of a PAV Sim Card. 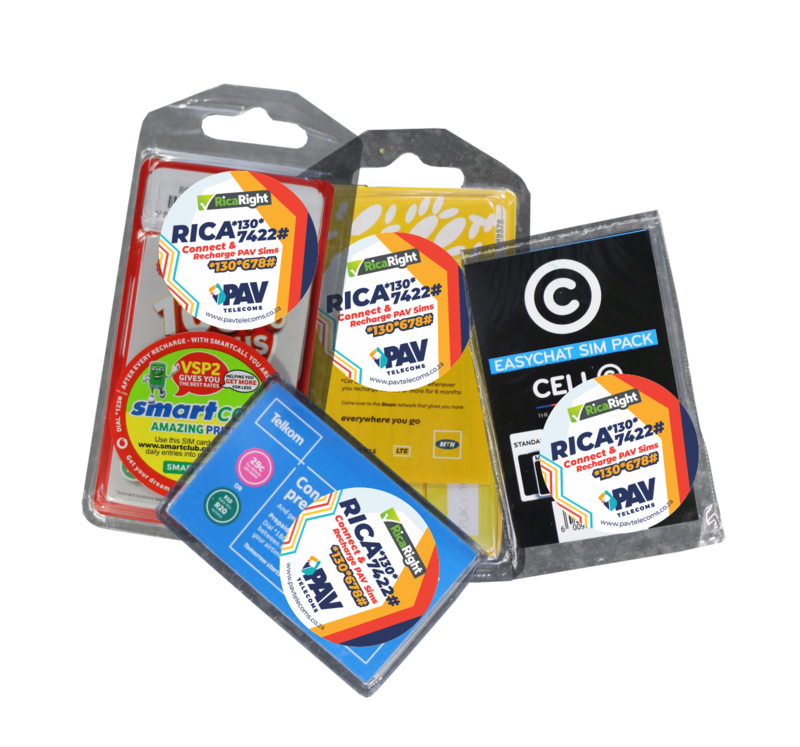 PAV Telecoms distributes Vodacom VSP2, MTN, CellC and Telkom Mobile starter packs to PAV Places, shops, wholesalers, and Rica Traders throughout South Africa. 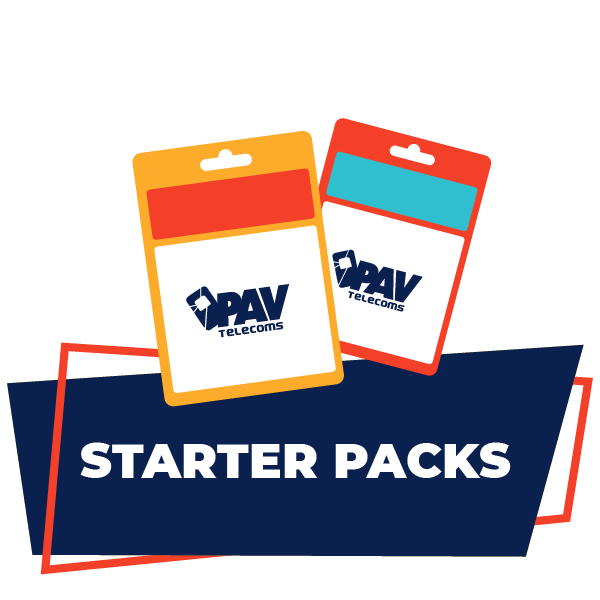 PAV Telecoms has a dedicated salesforce, agents and a call centre that will help and assist PAV Places, Shop outlets and Rica traders who require starter packs. PAV Telecoms pays shop owners and Rica traders for successful Rica and activation per PAV starter pack. This has created an income for many Rica traders and shop owners. 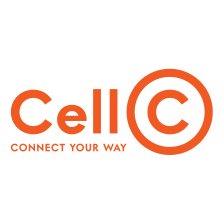 RICA or the Regulation of Interception of Communication Act is a new law that has been passed by the South African government that makes it compulsory for everyone to register all new and existing cellphone numbers. As a RICA Agent your responsibility is to RICA a SIM card to a customer, this must be completed face-to-face. You will require their full name, surname, Identity number or passport number and a physical address. Choose option 2 = Sim Card No. 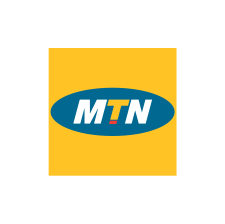 Once the subscriber has “talked-out” the required airtime per network, this becomes an activation for you. 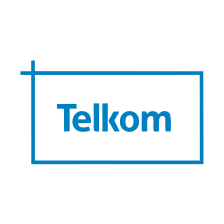 Activation = payment of up to R30 depending on how many activations you have done in a month.  The networks and PAV Telecoms have different activation criteria for different starter packs. 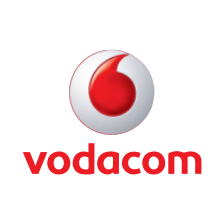 Generally an activation is when a customer has spoken out, sms’d, or used data to the value of between R23 and R30 within the required peroid of time. You will receive an sms advising you of the amount and for which network you have been paid. You can cash out your Smartload promotional support using the Smartload FNB e-Wallet option. A RICA Agent will need to register for Smartload FNB e-Wallet via Smartload first. • RICA Agents using a passport will be directed to www.smartcallonline.co.za to capture their details. • Enter the 5-digit PIN. • The cash out funds will show. • To be able to withdraw the funds select get Cash. • ATM PIN will be given. ATM PIN expires after 4 hours. A PAV Rica Agent will create you as a Smartcall Rica Agent. This has to be done face to face as per the RICA Act. Enter your PIN = Last 4 digits of your cell phone number (advisable to change this). The on-screen display will show you your balance. Rica traders and shop owners need to be appointed as Rica Officers as per the RICA Act. Once appointed as a Rica Officer, you can make use of our free SmartRica USSD *130*7422# (*130*RICA#) via any cell phone, online or smart rica app. Starter pack promotional support shall be credited back to the Rica trader’s Smartload Cell number. This then allows the Rica trader to sell more airtime and electricity via their Smartload Cell number.